Summary: Clouds early, but then will be sunny. Small chance of rain Wednesday PM. 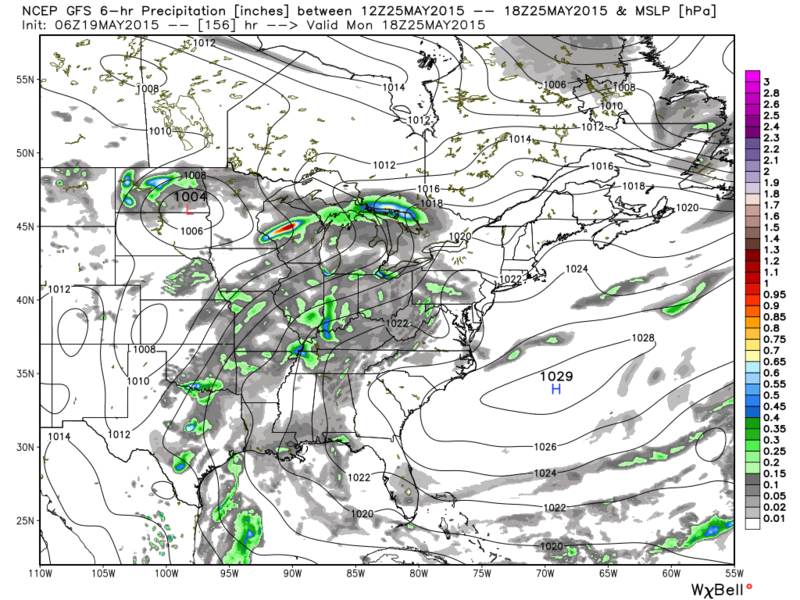 Weekend looks dry all expect Memorial Day. Today, we are dealing with overcast clouds that will turn into sunny skies as our high temperature reaches about 79 degrees. Winds will be out of the north at 5 to 10 mph. With the cold front moving through, it is taking with it the muggy dew points and leaving behind more tolerable and less sweat-inducing dew points. Tonight, a couple of clouds come back with our overnight low dropping to about 55 degrees. Winds will be out of the north northeast at 5 to 10 mph. Wednesday and Wednesday night looks a little wet. Wednesday will start off mostly sunny then turns into a slight 20% chance of rain and thunderstorms later in the day. The high temperature will reach about 79 degrees. Wednesday’s rain activities will likely come in waves, with the first wave coming during the mid-afternoon hours and the second coming overnight. This is paired with a cold front that will move through Wednesday night. 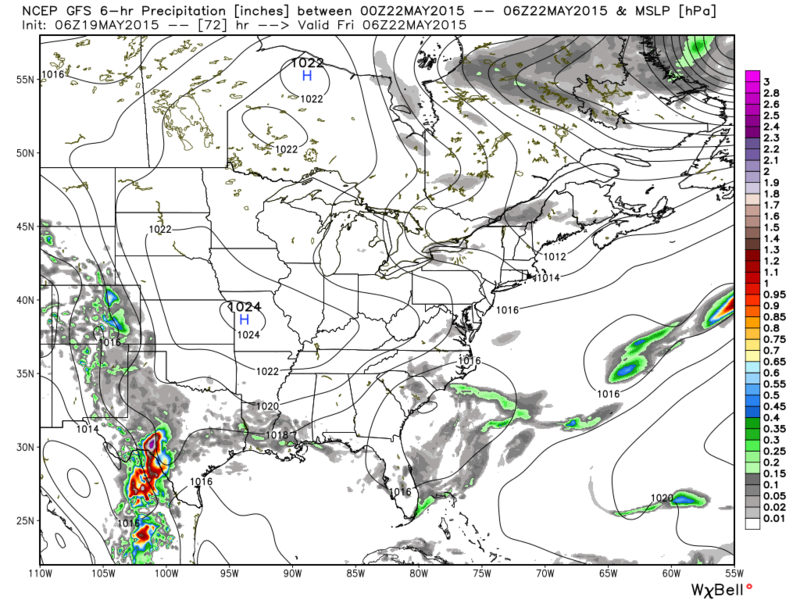 NAM4 shows us the first wave could be over us around 3pm. This wave may not bring much rain if any to us. The second wave comes overnight in what could be in the form of some storms. 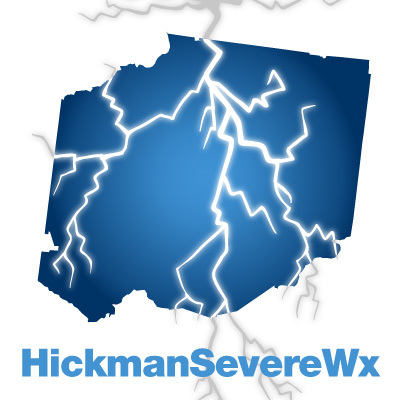 They don’t appear to be a wide-spread severe weather line like with most cold fronts, but one or two storms could reach that severe-weather line. 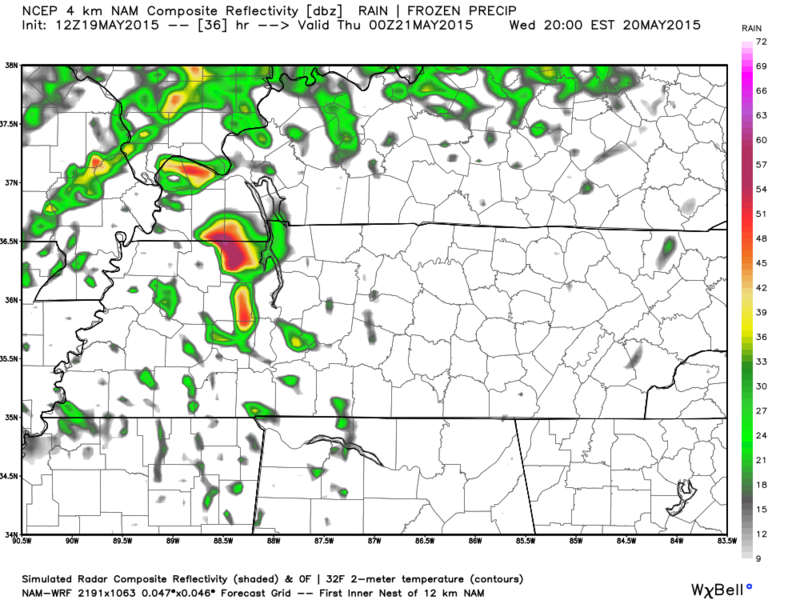 Here’s NAM4’s simulated radar for 7pm Wednesday night. The second wave is likely to come through between 7pm and 10pm. Wednesday night’s rain chance goes up to 40% as temperatures drop to about 56 degrees. The rest of the week and weekend looks dry except for the end of it. Thursday things clear up and be really nice, with partly sunny skies and a high of about 74 degrees. Thursday night there will still be a few clouds around with an overnight low of about 50 degrees. High pressure dominates. Friday will be much the same as the high temperature reaches about 73 degrees under mostly sunny skies. Friday night a few clouds remain and the temperature will drop to about 56 degrees. Saturday things warm up a bit to 80 degrees with a few clouds in the sky. Saturday’s overnight low will be around 64 degrees. Sunday a 40% chance of rain returns with a high temperature of about 82 degrees. Still looking at that very early look at Memorial Day and it still looks like there is going to be a chance of rain for your grill out. A 40% chance of rain will rule the day with a high temperature of about 83 degrees. Here’s the GFP model for Monday at 1pm.